Before its liquidation, Kongō Gumi was the oldest continuously operating company in the world. Founded in Japan a mere century after the fall of the Roman Empire, it survived extreme changes in Japan’s culture, government and economy, preserving traditional construction techniques and family values for over 1,400 years. In the year 578AD Germanic tribes were warring over the remains of the Roman Empire, an eight-year-old boy named Muhammad was growing up in Mecca, the Mayan Empire was flourishing in Central America, and the world’s longest continuously operated business was founded in Japan. When Prince Shōtoku Taishi (572–622) commissioned the construction of Japan’s first Buddhist temple, Shitennō-ji, Japan was predominantly Shinto and had no miyadaiku (carpenters trained in the art of building Buddhist temples), so the prince hired three skilled men from Baekje, a Buddhist state in what is now Korea. Among them was Shigetsu Kongō, whose work would become the foundation of the construction firm Kongō Gumi. In the centuries that followed, the maintenance, repair and reconstruction of Shitennō-ji (ravaged a number of times by wars and natural disasters) provided Kongō Gumi’s main source of income, but as Buddhism spread throughout Japan the scope of the company’s work also expanded to include contributions to other major temple complexes such as Hōryū-ji (607) and Koyasan (816), as well as Osaka Castle (1583). Kongō Gumi would continue to flourish under the Tokugawa shogunate (1603–1867), a period during which Buddhist temples received substantial financial support. The company weathered the pro-Shinto Meiji Period (1868–1912) and its often violent efforts to eradicate Buddhism from Japan, which included the destruction of tens of thousands of Buddhist temples. Kongō Gumi also survived the Shōwa Financial Crisis of 1927, keeping pace with economic and technological developments until it finally succumbed to financial difficulties and became a subsidiary of Takamatsu Kensetsu in 2006, after more than 1,400 years of independent operation. Kongō Gumi was founded in 578 and operated for more than 1,400 years as an independent business before becoming a subsidiary of Takamatsu Kensetsu in 2006. It continues to operate today, specialising in the construction, maintenance and repair of Buddhist temples, using traditional tools and techniques passed down from its founder. 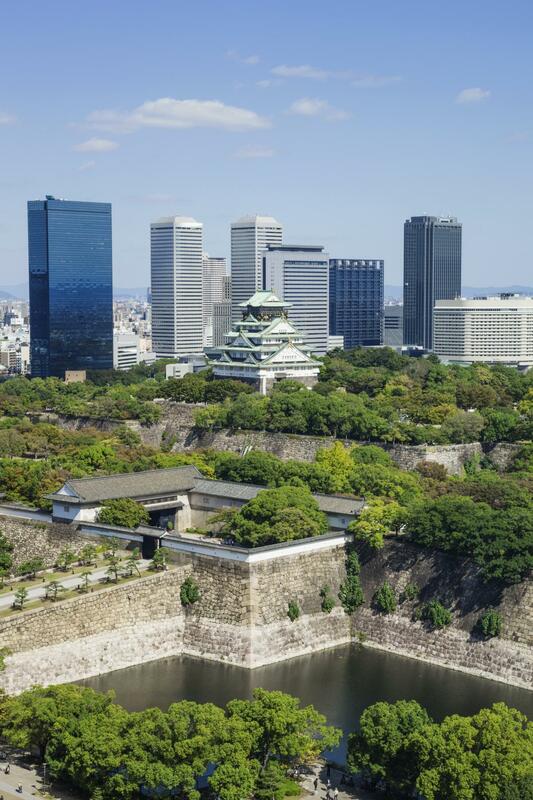 Although Japan boasts six of the world’s oldest companies and an estimated 20,000 firms over 100 years old, Kongō Gumi’s longevity is certainly remarkable and worthy of study. Fortunately, the principles that guided the company over the centuries have been preserved by the Kongō family itself. The 32nd leader of the company, Yoshisada Kongō, writing during the Meiji Period, left a creed, later titled Shokuke kokoroe no koto, or ‘family knowledge of the trade’, a list of 16 precepts distilled from the company’s successful past and intended to guide and preserve the family’s operations into the future. Western observers might be surprised to discover that while the creed addresses ‘business’ subjects such as quality control and customer satisfaction, it puts equal emphasis on ‘personal’ issues such as how to dress (in keeping with one’s station), how much to drink (in moderation) and how to treat others (with utmost respect). Indeed, the first article of the creed states that minding the precepts of Confucianism, Buddhism and Shinto, and training to use the carpenter’s rule are ‘our most important duty’, suggesting that the standards against which a Kongō measures his life are as critical to success as the instrument by which he measures his work. The extremely high quality of Kongō Gumi’s work was certainly one factor in the company’s longevity. A new worker could expect to undergo ten years of apprenticeship to perfect the techniques demanded by the work (and another ten years of training to become a master carpenter), and Shokuke kokoroe no koto bade him practise those techniques as well as reading and arithmetic, ‘the skills that carpenters need most’, adding any other skills that might be required by his position and disregarding anything not essential. In addition, the craftsmen were organised into kumi, workgroups that often competed among themselves to prove which one produced the best work. Yoshisada Kongō also emphasised the importance of good customer relations, and Kongō Gumi succeeded in building and maintaining strong relationships with its customers, many of whom (such as their first project Shitennō-ji) remained loyal over centuries. A number of the precepts listed in Shokuke kokoroe no koto reflect this: ‘Listen to what the customer says’, ‘Treat the customers with respect’ and ‘Submit the cheapest and most honest estimate’. The creed goes further, however, to discuss relationships in general: ‘Do not put yourself forward’, ‘Never fight with others’, ‘Do not shame a person or boast’ and ‘Communicate with respect’. Close, stable, mutually beneficial relationships helped to sustain Kongō Gumi through times of economic hardship, as the company provided expert, reliable service at fair prices to customers who in turn provided dependable long-term income. One characteristic of Kongō Gumi, which is not specifically described in Yoshisada Kongō’s precepts (but which has been frequently cited by its recent leaders), is its ability to balance respect for tradition with the flexibility to meet changing conditions. The creed states that ‘the most important thing is to keep and maintain the name of the Kongō family’, and throughout its history the family has broken with tradition when necessary to ensure the survival of the company. For example, when temple construction and repair revenues fell during the Meiji Restoration, the company diversified, starting to build the office and residential projects demanded by an increasingly westernising Japan. 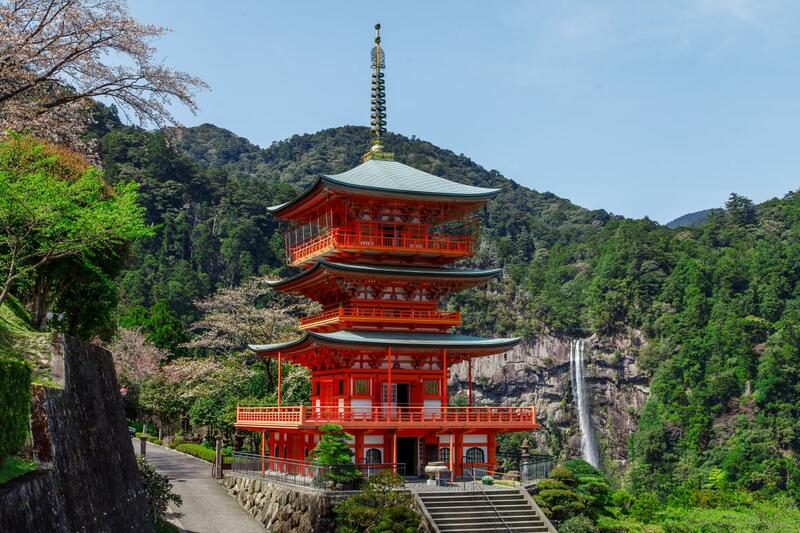 The company was the first in Japan to combine traditional wooden constructions with concrete, and the first to use CAD software to design temples. 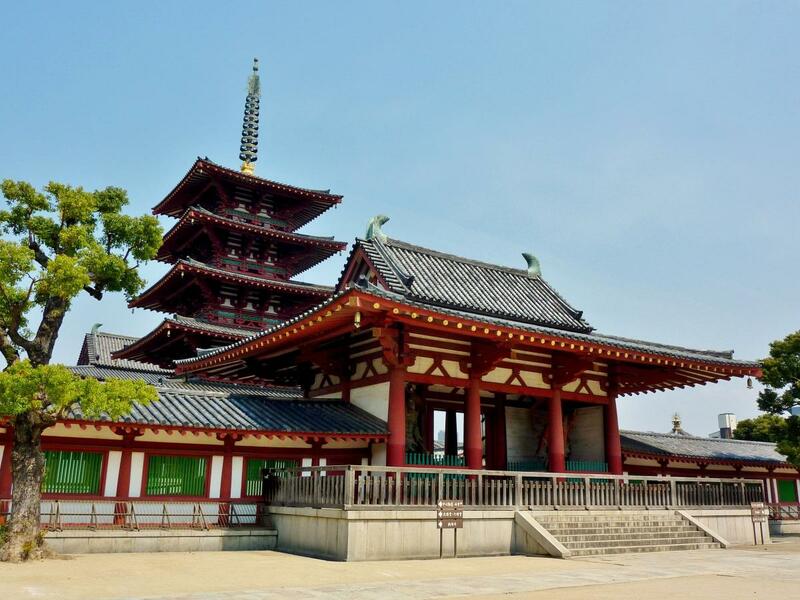 Traditional Buddhist temples are constructed around a framework of interlocking, precision-cut wooden components that can be individually repaired or replaced. This facilitates renovation and reconstruction over the centuries. Kongō Gumi has demonstrated a similar flexibility, selecting leaders and projects that fit into its overall plan for preserving the family tradition, replacing and modifying them as necessary. This flexibility was tested even further during the Shōwa Depression, when the 37th leader Haruichi Kongō committed ritual suicide because of his inability to provide for his family and the families of his craftsmen. In the absence of a suitable male leader, his widow Yoshie stepped up to become the first and only woman to lead Kongō Gumi. She not only challenged the tradition of male leadership, but also expanded the scope of the company, begging the government to allow the firm to survive by taking on the production of wooden coffins. She also initiated a major structural reform that separated managerial positions from carpentry positions, a model that enabled the company to adapt successfully to the post-industrial era (though Toshitaka Kongō was still officially a carpenter at Shitennō-ji at the age of 86). As Japan began to adopt elements of Western culture, the company expanded its portfolio to include residential and commercial buildings; it also began to combine new technologies (such as the use of architectural software) with traditional temple construction techniques. The end of Kongō Gumi as an independent, family-owned business was brought about by a number of factors, primarily a long-term decrease in temple revenues combined with heavy property investments that devalued severely when the Japanese real estate bubble burst in the 1990s. In A 1,400-Year-Old Venture: Sixteen Lessons Handed Down From the World’s Oldest Company, a book published one day after his death, Toshitaka Kongō wrote of difficulties with meeting modern-day deadlines (nobody today is willing to wait 15 years for a temple to be built), the challenges of working with other design and planning firms, and the difficulty of navigating the balance between respect for tradition and the demands of the volatile world economy. He also refers to a precept of his ancestor’s creed, ‘When it isn’t possible to decide by yourself, consult a relative and decide things together’, regretting that he had not conferred enough with other family members. Still, he saw the end of the company’s independence not so much as a failure as a reflection of the fact that popular demand for temple construction was no longer enough to sustain the business. And though the company is under the control of a parent corporation, its spirit lives on. Kongō family members and employees continue to build and maintain temples and may very well do so for millennia to come. And on the 1st and 15th days of every month over 120 Kongō carpenters and other employees still gather for a small prayer ceremony in remembrance of Prince Shōtoku to thank him for how this all began. Irene Herrera is a documentary filmmaker and journalist working in Tokyo. Her work mostly explores social issues in Asia and Latin America. Mai Hasebe contributed on-location research in Japan and Tae Whang provided Japanese language consultation.